"There are three important things for this country: First, make sure that IS does not return to Syria," Graham told CNN Dana Bash on "State of the Union." "We have to keep our troops there, they're in the ten-yard line to defeat ISIS, but we're not here yet, and if we leave now, the Kurds will be slaughtered." Will you convince President Trump? "Bash asked.
" 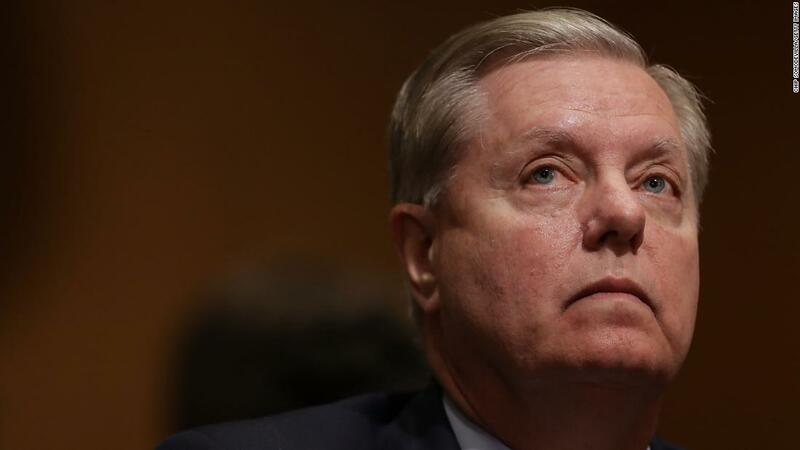 I'll talk to him for lunch, "Graham replied, referring to a lunch he was supposed to have with Trump on Sunday.
" The President is considering how we do that, he is Frustrated, "he added. Trump's decision to give his orders this month to carry out the" full "and" quick "withdrawal of the US military from Syria was met with sharp criticism from both sides of the aisle The announcement condemned the move as a "disaster" and "a stain on the honor of the United States." On Sunday, he warned of a security transfer in Syria from the US to Russian and Turkish forces A change by which the Syrian Kurds who supported and armed the United States could be endangered by both IS and Turkey. "I ask the President to ensure that we have troops, who protect us. Don "Our national security should not be outsourced to foreign power," Graham said. "If we go now, the Kurds will be in a fight with Turkey, they could be slaughtered, who would help you in the future?" "And you will say that to the President today?" Asked Bash. "Yes, I will ask the President to do something that President Obama would never do: rethink," Graham replied. CNN's Barbara Starr, Ryan Browne, Nicole Gaouette and Kate Sullivan contributed to the report.